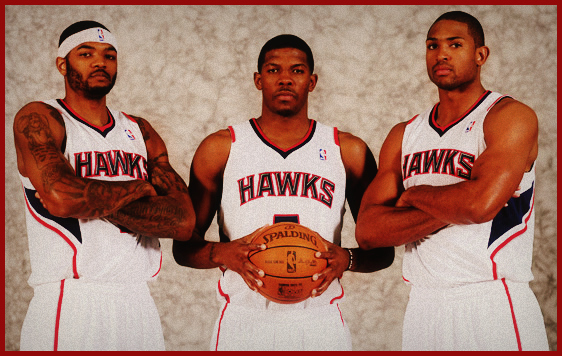 Hawks young talent showing promise, but is the franchise heading down the same path? Hawks fans should be mad. Hear me out. Enough time has passed since last year’s NBA draft to allow for us all to have a better idea of what exactly transpired on draft night. I think its time as fans we get real about what the Hawks are and where we are headed. The fanbase should be at least frustrated. This past year, the Hawks drafted a player who in my opinion will be a perennial NBA All-Star and future top 10 player. This player is no longer on the roster. Chew on this: Did you know that since the 1993/1994 season, only three NBA franchises have failed to have at least one player finish a season in the top 10 of PER (Player Efficiency Rating)? Any guesses on those three teams? The Hawks, Pacers and Wizards have gone 25 years without having a player finish a season in the top 10 of PER. As far as I can tell the Pacers and Wizards have never had player a finish a season in the top 10 of this stat category. While I’ll be the first person to not go overboard with analytics (especially a single stat), PER does give you a general ballpark of who the best players were in every season. It’s not a be-all-end-all by any means, but it’s a ballpark. It’s pretty telling as well. In a league that defines itself more than any other by its stars, the Hawks have been in star-less (as defined by this stat) limbo for over two decades. Don’t like PER? How about Box Plus/Minus? 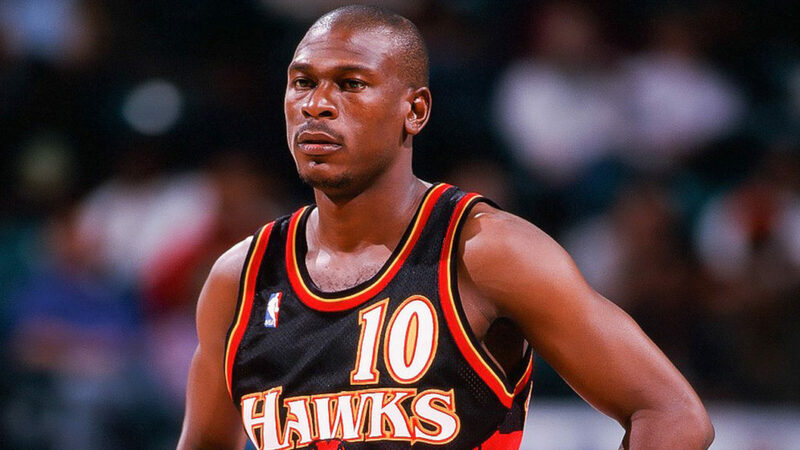 The last Hawk to finish a season in the top 10 of Box Plus/Minus was Mookie Blaylock in the 1998/1999 season. I loved Mookie. And that would put the Hawks right at 20 seasons since having a top 10 player in this stat category. Other than the Detroit Pistons, who have three times (‘89, ‘90 and 2004) won NBA titles without having a player finish in the top 10 of PER, no other NBA team has won a championship without this prerequisite. (Ben Wallace finished ninth in 2004 in Box Plus/Minus). I only went back to 1980, so feel free to let me know if you find any other teams in NBA/ABA history who were able to win without a bonafide stud. Why am I writing about this? This all started when the lottery balls fell in the Hawks favor last year. I’ve been arguing with a few lifelong friends about it ever since. For the first time since 2007, the Hawks drafted within the top three of the first round and once again had an opportunity to draft a franchise-changing player. We all know what happened. Hawks brass sold the fans on trading Luka Doncic for Trae Young and an additional pick in this year’s draft. I will be the first to admit Young has been better than I thought he would be. I thought he had true bust-potential but that hasn’t been the case at all. And I’ll give credit when it’s warranted in the fact that Kevin Huerter looks like a steal at No. 19. 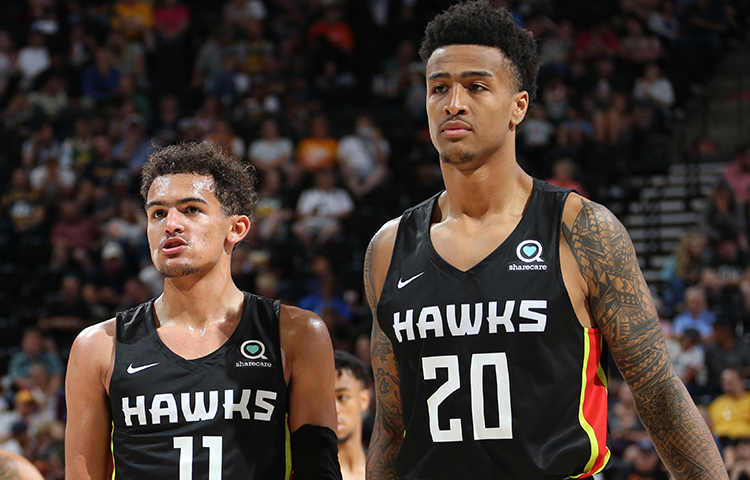 Pair those two alongside John Collins, who is no longer a secret, and the Hawks have a core of young players who are giving hope to a fanbase desperate to reach the postseason once again. The Hawks will have multiple first round picks in this year’s draft and money to spend in free agency. I’ll give Hawks’ general manager Travis Schlenk credit for getting rid of bad contracts in addition to hitting on both Collins and Huerter outside of the lottery. The fans I speak with on a daily basis are beyond excited about the future. So why did I bring up those stats? The question Hawks fans should ask themselves is this: Do you believe there is a player currently on the roster who will (ever) finish a season in the top 10 of PER? Go ahead and look at the list of guys who finish seasons in the top 10 of that stat category. It’s a who’s who of NBA stars. The best players in the game. Do we believe Young, Collins, Huerter, or player-to-be-named-later will one day be in this group? Some fans say, “Yes, that’s an absolute possibility.” And yes, I suppose anything is possible. However, in my opinion as good as Collins is and as much promise as Young and Huerter have shown I don’t believe any of these three will crack this list. This isn’t a knock on them at all. It’s being realistic on what is required to win a championship. My main contention is that if the Hawks are going to win an NBA championship, the player who will lead them there is not currently on the roster. The Hawks did however, draft a player who I believe will be in this list in very short order. Doncic is the runaway rookie of the year so far this season, and I won’t go into all the reasons why this shouldn’t be surprising. My main argument with my friends (we literally debate this topic and Jordan v. Lebron 24/7, 365) is the Hawks need a true NBA star. A top 10 player. More recently, NBA champions need more than one, but my point is we need to start with at least one. The Hawks have been unable to draft, develop, or sign a legitimate NBA star (as defined by my previous stats) in at least 20 years and that isn’t a small sample size. This past year a star fell in our lap and we willingly gave him away. My fear, is the Hawks are rebuilding what we’ve always built: a team who’s best player(s) aren’t upper echelon NBA talent. A team which will struggle in postseason series when the game slows down and stars truly shine. This year’s draft is crucial to Schlenk’s plan, and the Hawks could possibly find “the guy” in Zion Williamson or another young player. The point is, expectations should realistic, and should be tempered by the Hawks’ history of selling the fanbase hope when NBA history tells a completely different story. The league isn’t set up for cinderellas and unlike many other sports the best team nearly always wins in the Association. There are pros and cons to this, but the fact is that teams needs a baseline of star power in order to compete for a trophy. This shouldn’t be news to anyone familiar with the NBA, and this entire article isn’t written to be pessimistic or negative. 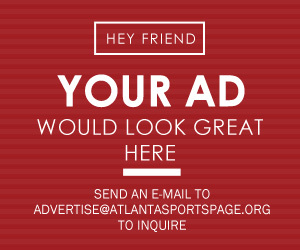 I want the Hawks to succeed and be a power franchise! However, I have disagreed with their building process over and over again for as far back as I can remember. It was clear to me the teams in 2012 and 2016 would struggle in the postseason and they did. I wasn’t sure why friends deemed my viewpoint at the time as some hot take. It’s simply understanding the realities of the NBA. I understand being a fan and rooting for your hometown team, but at some point I think it’s healthy to step back and view the situation from an outsider’s lens. Hawks fans (my friends!) I speak with view the team from a fan’s’ perspective, and understandably so. But how would you view the Hawks franchise on the whole if you grew up in Seattle or Milwaukee or Phoenix? Can you answer that objectively? The Hawks fans I know simply will not hold the franchise accountable for its mistakes and its baffling me to see fans doing mental gymnastics to try to convince themselves that willingly giving away Doncic is somehow a “good” move. I could be wrong about this all. God knows I’ve been wrong about a million things in my life. If Collins turns into a top 10 player and Trae Young leads the team to an NBA title, I’d willingly admit I was wrong about this whole thing. That would be amazing! Even more amazing would be if the Hawks were to duplicate the Pistons’ success and win a title without having a top 10 player. Who wouldn’t want to see that? Or maybe Doncic fails to progress? I’d willingly take the “L” if five years from now this is viewed as a massive overstatement of his skills and potential. My argument is fans should be real about where the Hawks have been and what they could possibly be doing again: building around B-level talent. Is reaching the postseason and getting swept a success in your eyes? As good as Al Horford was for the Hawks, his current Hall of Fame probability sits at 10 percent. Joe Johnson sits at 50 percent. The guys on the 2015 team? They aren’t even as good as Johnson or Horford (I know Horford was on the 2015 team as well). NBA champions consist of Hall of Famers and stars. It’s the bottom line. This could all change if the Hawks luck-out and draft Zion Williamson who in my opinion could be an A-Level NBA star. It could all change if the Hawks were to sign a true star free agent, but the sad reality is that Hawks fans will have to watch Doncic play for the next 10-15 years and wonder what the team would have looked like with him running the show. 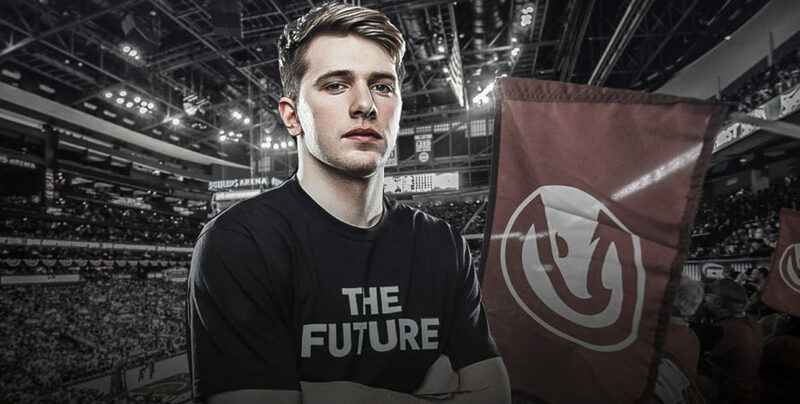 Doncic will be the Chris Paul of this generation for the Atlanta Hawks. A friend said to me,”Well yeah, but come on there are only a few true stars and if you look at it only a handful of teams have ever won an NBA championship.” I suppose that could be argued about the stars, and it’s certainly true about the teams (10 different franchises have won a title since 1980). My pushback was this: Why are you easy on the Hawks? It’s been 25 years. 25 years since the team had the preconditions for a championship. Ask yourself this: Could you, in 25 years, manage to acquire an NBA star given you were afforded every opportunity to do so? Only three franchises in the league haven’t managed to stumble into this. Ownership transfers and management turnover are convenient excuses, and honestly I’m tired of making excuses for the Hawks. Trading Doncic was a mistake and the quicker the Hawks realize this the quicker we can turn toward a new solution. Hawks are winning games now with their core of young players, but they may be just good enough to move us right out of another opportunity to land the franchise changer. Maybe I’m wrong. I’ll admit it if I am. Time will tell. Great article, I have been a Hawks fan for the longest and we have missed out so many player. We missed out on Chris Paul, Pau Gasul and player that wouldn’t bother playing for us such as Rasheed Wallace and most recently Carmelo Anthony. I REALLY HOPE YOU ARE WRONG on this one but history says differently!